Spring is characteristically a season of awakening in New England when the scenery comes alive again after the winter’s slumber. 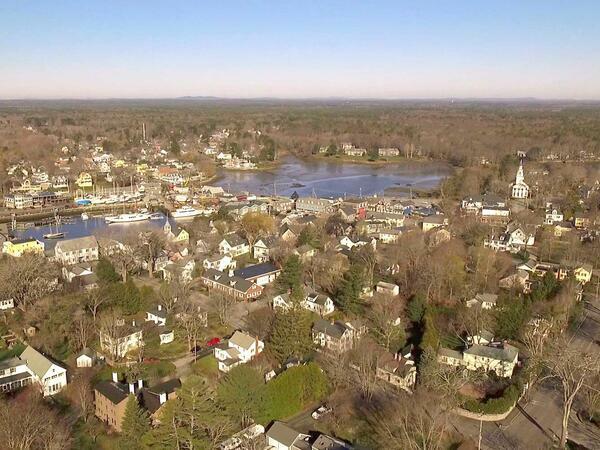 Kennebunkport is no exception. Sometimes signs of spring come as early as mid-March while other years the crocuses don’t poke through the ground until late April. But the feel of springtime is certainly in the air from mid-March until early June. The crisp sea air seems most invigorating at this time of year as the birds return and the bright green leaves blossom on the trees. With the awakening of flora and fauna, spring is the ideal time to enjoy birdwatching and nature photography in southern Maine. Fortunately, Kennebunkport is situated in the middle of countless nature preserves and wildlife refuges. Rachel Carson’s National Wildlife Refuge protects multiple tracts of land in the area. All are ideal for catching a glimpse of your favorite birds as the foliage has yet to reach full coverage. Laudholm Farm or the Wells National Estuarine Research Center is a few minutes’ drive from the Maine Stay and boasts seven miles of trails that allow plenty of opportunities to glimpse baby deer, fluffy ducklings and flocks of birds. For those looking for more vigorous activities, these nature preserves also offer trails that are excellent for hiking and nature walking. Plus, the beach and rocky coastline are always beckoning for a leisurely stroll. Kennebunkport is fortunate to have golf courses for players of all abilities in the area. The Cape Arundel Golf Club, an 18-hole links-style course designed by Walter Travis, offers a rolling terrain with views of tidal inlets less than two miles from the Maine Stay. Nestled among the beach homes of Kennebunk Beach and just a block from the Atlantic Ocean, Webhannet Golf Club provides an 18-hole course with peeks of the ocean. Those new to the greens or those hoping for something more casual are sure to enjoy Hillcrest Golf, a par three course. More experienced golfers can be found working on their swing at their driving range. Kennebunkport is a secret haven for talented artists and a multitude of galleries dot streets throughout the area. You don’t have to venture far to enjoy some of the incredible creations because the closest sits just two houses away! Whether you’re looking for contemporary photography or sculpture, oil paintings or Inuit jewelry, the Kennebunkport art scene has plenty of options to peruse. Visitors often enjoy watching the scenery come into bloom as they dine at On the Marsh Bistro, a romantic restaurant appropriately located on a marsh and stunning gardens. And while Mabel’s Lobster Claw doesn’t offer similarly lovely views, many guests enjoy taking in the gardens along Ocean Avenue during their stroll to dinner. Others think Bandaloop Restaurant is an ideal spot to enjoy the freshest of spring veggies in a Bohemian Chic setting just a few minutes’ walk from the inn. 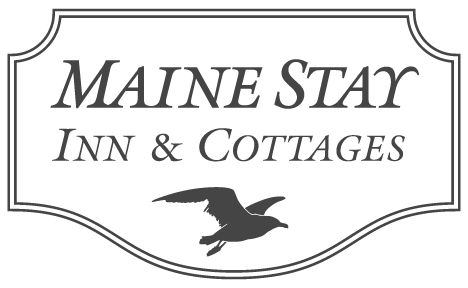 No matter how you choose to spend your springtime visit to the Maine Stay, you are sure to enjoy the blossoming foliage and reawakening animal life along the Maine coast.